We could already take in account the height differences in your kitchen, but now you can get creative with our new 'Refined Edge' series! 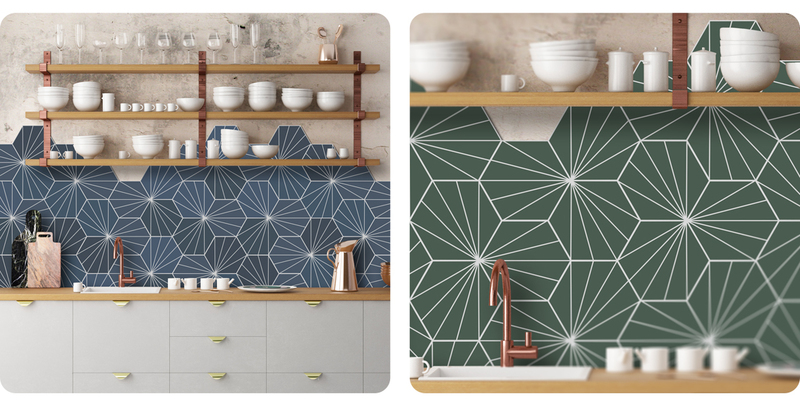 Tile motifs remain a popular item in the modern kitchen, but our materials have many advantages over real tiles. The cleaning of Grouts is a thing of the past. We are increasingly seeing top cabinets being replaced by large, robust wooden shelfs and why should we let the kitchen splashback end there? 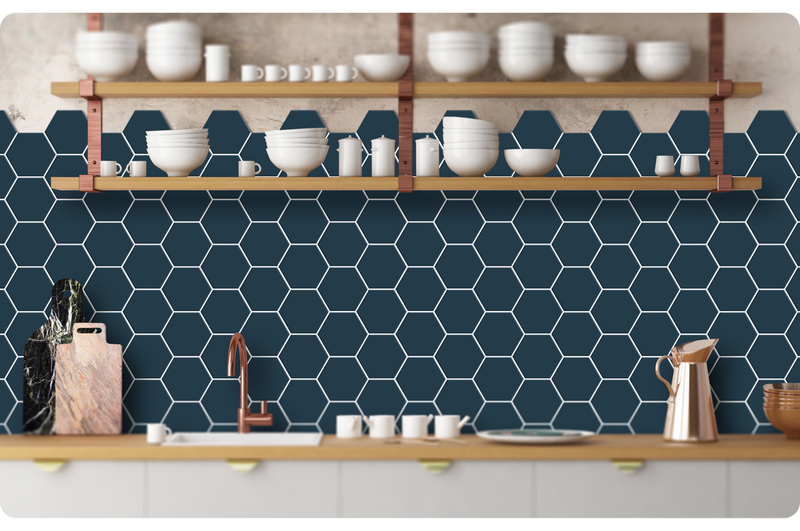 Now we can supply splashbacks that have been milled with the shape on the top and that you can use in a very creative way in your kitchen interior. If you have a corner in the kitchen, we will ensure that the pattern continues and we can even mill the sides with the shape. Because it is all one piece, it's very easy to assemble and you can easily drill through the material to attach a shelf, for example. Available in other colors, so completely suitable for what you want. The easiest way to 'Pimp' your kitchen with something really new! Do you want this design?